Banish bad vibes with this mystical art tank. The “Hamso Geo” graphic is printed at the center front of the modern swing tank, featuring an A-line cut, high neckline, rounded hem and relaxed fit. 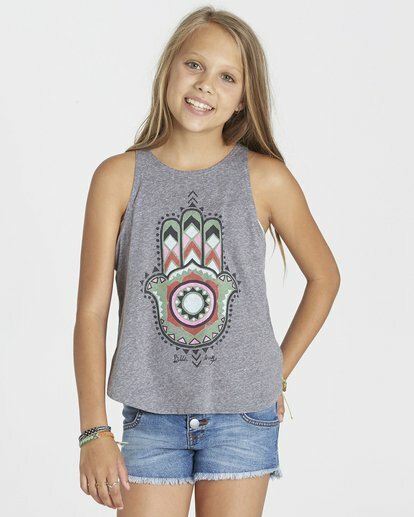 ”Hamsa Geo” graphic print at chest.